As I have been saying in prior posts, when you load Windows XP onto a netbook, it is just a small, cheaply outfitted laptop. 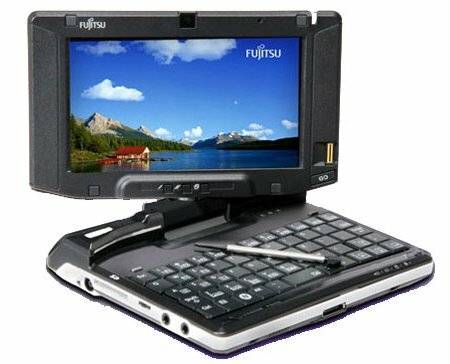 When you load Vista on a device like the Fujitsu 810 pictured above, you take a beautiful design concept and turn it into a paperweight. The beauty of the Psion series of proto-netbooks (the Series 5, 5mx, 7, the netbook, and the Revo (pictured right), is that they were rock stable and had instant on/off capabilities. By rock stable, I mean you could open as many programs as the RAM would allow, and they would all run without crashing the whole thing. 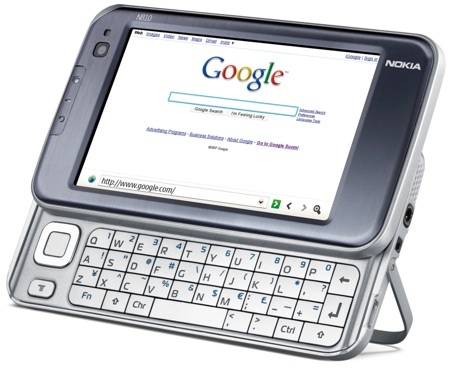 Psion is currently in a lawsuit defending the netbook trademark. 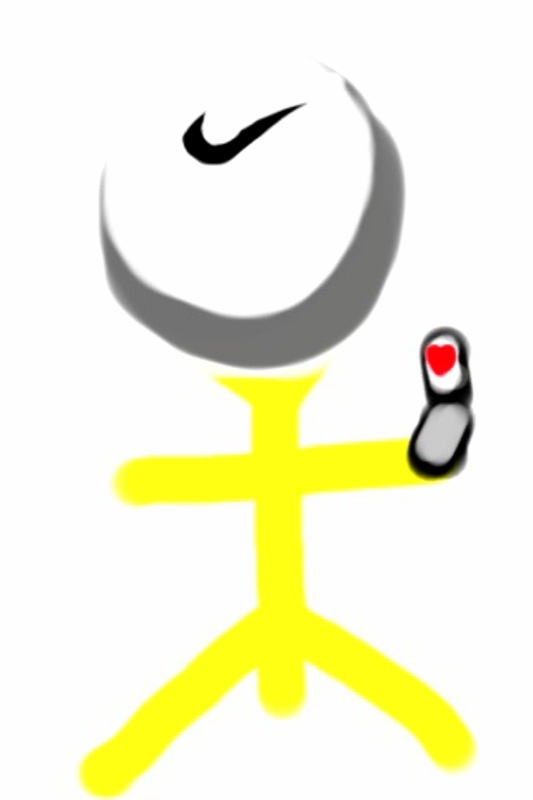 The convertibility to tablet is a useful concept for people who walk and compute at the same time -like doctors. 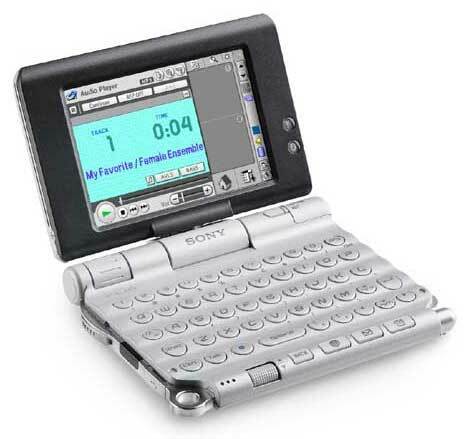 The Sony Clie UX50 was a palm based PDA with wireless capabilities and showed the bleeding edge of useful design, but was again hampered by the OS, this time Palm. The gadget designers are limited by the OS they can offer on their kit. Psion was the last hardware maker aside from Apple to completely write an operating system from scratch, creating the inimitable EPOC OS which has since morphed into Symbian. Apple understands that a device’s soul is its OS and its user interface, and has created the near perfect iPhone/iPod Touch, but it won’t go beyond the multimedia player/game/phone space because of SJ’s distate for buttons and desire not to split the OS (but it has) and not draw market share from the crown jewels, the Macbooks. 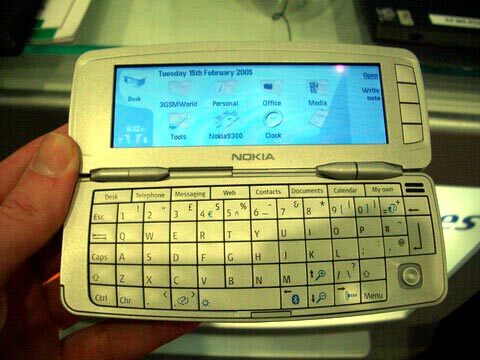 Nokia, who still is part of the Symbian alliance, and makes Symbian smartphones and the direct descendant of the Series 5mx, the Nokia communicator line (below). It is pocketable, and typable, but limited in that Symbian evolved into a phone centric OS and not necessarily a work centric one. The keyboard is for thumbs, not actual touch typing, though people report doing so. I used to be able to touch type on the Revo without a problem. The same goes for their internet appliance the Nokia 810, which I came close to buying, but held off because of the lack of built in touch typability. Make it a clamshell, and I’ll take it. There are those who would recommend I get an NEC Mobilepro 790 or 800, which I used to own. These are completely handicapped by having Windows CE. 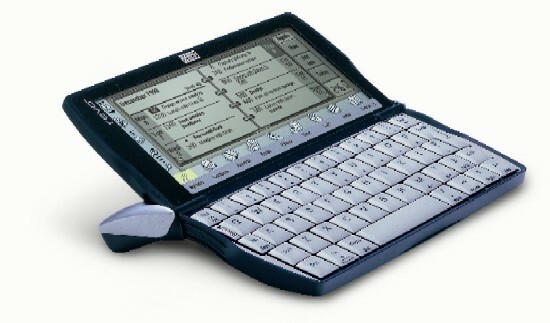 The same with the netbook pro, made by Psion. It is wonderfully up to date, and quite a nice piece of hardware, but again having Windows CE.net handicaps it to the point it is undesirable to use. Believe me, you can hold your nose only so long before the thing crashes and you lose your file! The netbook Pro initially sold for over 1500 -now you can get one for cheaper than the older netbook which runs EPOC. 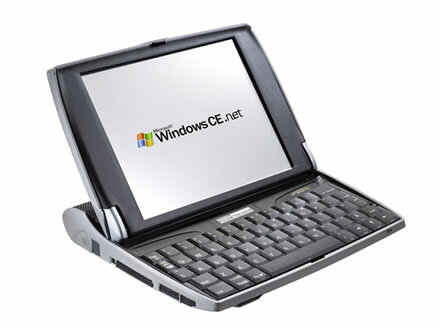 Windows CE killed the clamshell portable notebook. Why not EPOC running netbook -I used to own this, but running 802.11b with no multimedia addons to the browser, inability to run net 2.0, is a huge drag. No, we’re all waiting for the next great thing, and unfortunately, even running Windows 7, the so-called netbooks are just small laptops, and not an internet appliance that facilitates your work. addenum #2: Like all things in this age, you think about it, and someone has already got there. 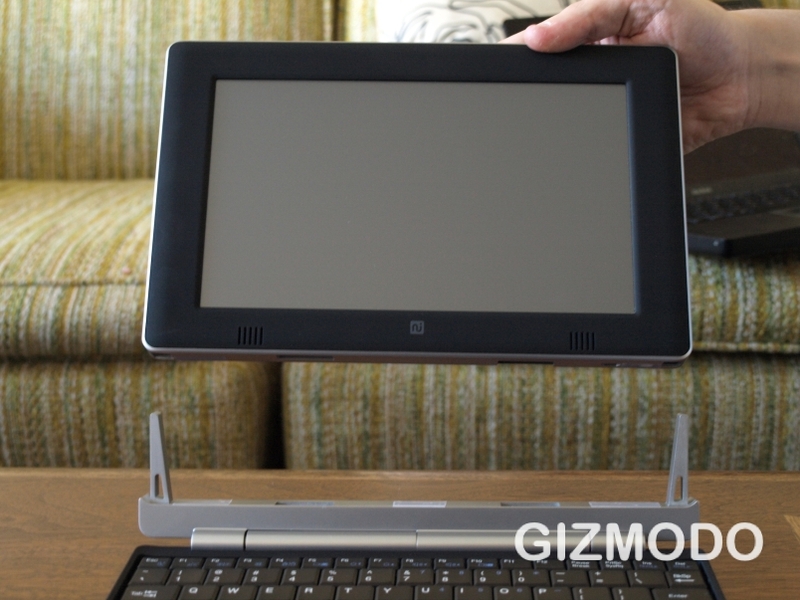 Gizmodo reports on the Touchbook, a convertible netbook/tablet which uses Linux and runs 10-15 hours. Looks fabulous, and all for 300 bucks see link.